Inspirational, positive, sometimes funny, quotes and short stories or articles by Doe Zantamata and special guest authors. There's never ever been another person like you, another time like this, another moment just right. There will never ever be another person like you, another time like this, another moment just right. 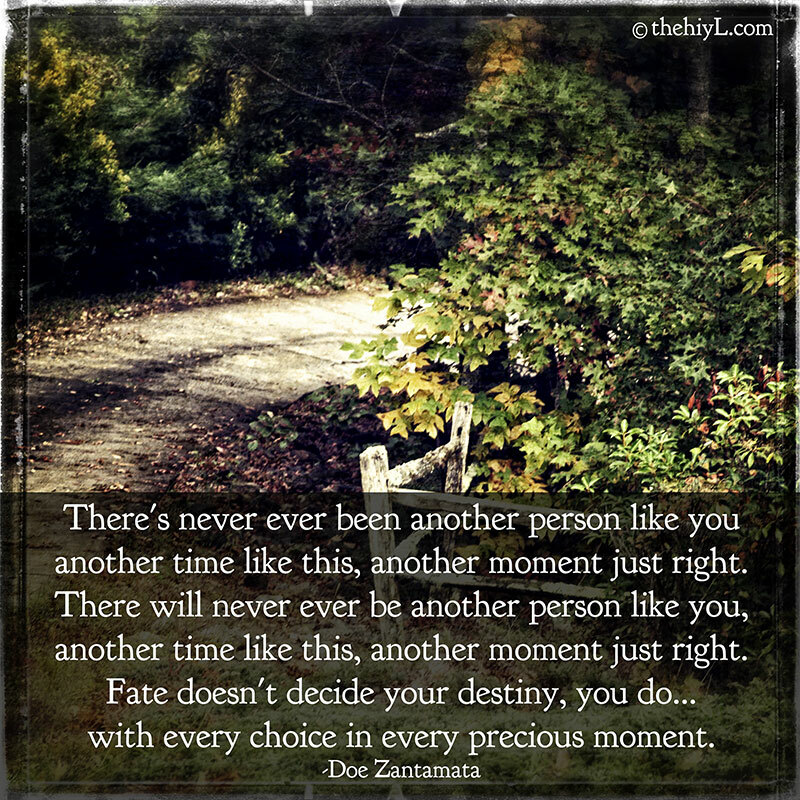 Fate doesn't decide your destiny, you do...with every choice in every precious moment. Copyright Happiness in Your Life 2011-2018. When sharing online, please link back to this blog. Get the Amazing Dog Magnet here!